← Is Microsoft forcing upgrades in Windows 10 V1607? 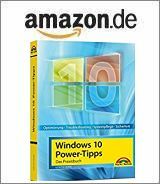 [German]Microsoft has released on October 17, 2017 Monthly Preview Rollups KB4041686 for Windows 7 and KB4041685 for Windows 8.1 (and the Server pendants). Here are a few details. Addressed issue with the Universal CRT where _stat32i64() returns an incorrect drive number (error 0xFFFFFFFF) when using a relative path. Addressed issue in the Universal CRT where incorrect characters were returned when the tolower() function was called. Addressed issue where the Universal CRT _splitpath() function was not handling multibyte strings correctly, which caused apps to fail when accessing multibyte filenames. Addressed issue where the Universal CRT caused linker (link.exe) to stop working for large projects. After installing KB4041686, package users may see an error dialog that indicates that an application exception has occurred when closing some applications. This can affect applications that use mshtml.dll to load web content. The failure only occurs when a process is already shutting down and doesn’t impact application functionality. Microsoft is working on these issues and will provide a fix with the upcoming releases. For the Microsoft JET Database Engine bug, Microsoft proposes, to download and install Microsoft Access Database Engine 2010 Redistributable. The the DB connection string in Microsoft Excel has to be modified, that the ACE provider is used. Change the string Provider=Microsoft.Jet.OLEDB.4.0 to Provider=Microsoft.ACE.OLEDB.12.0 for instance. This update is optional and I don’t recommend to install it. Addressed issue in which AD FS can no longer ignore “prompt=login” during authentication. A “Disabled” option was added to support scenarios in which password authentication is not used. For more information, see AD FS ignores the “prompt=login” parameter during an authentication in Windows Server 2012 R2. Also this update has the two bugs described above within the Windows 7 Update section. A 3rd bug is described as: Some users who have the text size for icons set to a larger size (using Display Settings in Control Panel) may have issues starting Internet Explorer. Microsoft recommends, to reduce the text size for icons to a smaller value or use the Change the size of all items setting. Microsoft is working on a resolution and will provide an update in an upcoming release. This update is optional and I don’t recommend to install it. This entry was posted in Update, Windows and tagged KB4041685, KB4041686, Update, Windows 7 SP1, Windows 8.1. Bookmark the permalink.